The phenomenological hermeneusis of the experience(s) of depression reveals this mental disorder as social pathology which entails an elementary problem of attunement between individual and world, presubject and ambiance, at a primary, prereflexive, bodily-affective level. That dis-tunement also involves a confrontation with the late modern ‘isolist’ subject position of the individual. This interpretation deviates from the common public as well as the prevailing scientific understanding of depression. 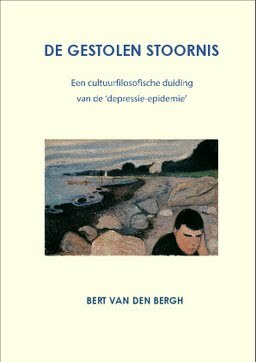 In the public debate, depression is usually understood from the dominant ‘neoliberal’ or ‘ultraliberal’ perspective as individual pathology which constitutes a threat to the (global) Market: it means unproductiveness and immobility, so the opposite of the desired subjectivity. The depressed person is not enterprising, dynamic, flexible and interactive. In the scientific discourse depression mostly comes to the fore as a (neuro)biologically rooted (brain) disease, and thereby also as individual pathology. From brain disease to participation disorder, from individual pathology to social pathology: it is not so much the individual who is in disorder but it is her or his world relationship which is disturbed. The alleged brain disease in reality is an existential disturbance which is masked by the former label and thereby taken away from the individual. This turnes depression into a ‘stolen disorder’. Sponsor Dit onderzoek werd ondersteund door de Nederlandse Organisatie voor Wetenschappelijk Onderzoek (NWO) onder projectnummer 023.002.021.